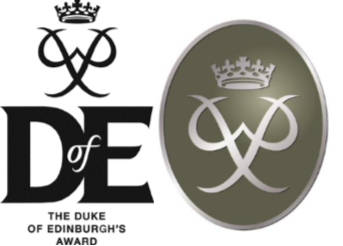 The Duke of Edinburgh’s Award (commonly abbreviated to DofE), is a youth awards programme founded in the United Kingdom in 1956 by Prince Philip, Duke of Edinburgh, that has since expanded to 144 nations. Many young people find achieving a Duke of Edinburgh Award life-changing. A fun adventure and major challenge, three progressive Award levels (Bronze, Silver and Gold) and a wide range of activities offer endless possibilities to anyone aged 14 to 24. 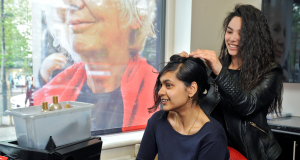 Millions of young people in the UK have already taken part in the world’s leading youth achievement award – pushing personal boundaries, gaining new skills and enhancing their CVs and university applications. Whether you’re adventurous, caring, sporty, creative… however you might describe yourself, the DofE is for you. Take a look at the Award sections below to start planning your own personal and unique journey. 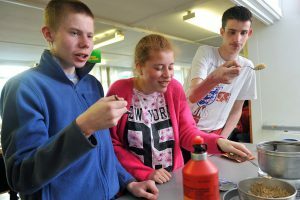 There are three levels of programme you can do which, when successfully completed, lead to a Bronze, Silver or Gold DofE Awards. The main differences between them are the minimum length of time they take to complete, how challenging they are and the minimum age you can start. Depending on your age, you are free to start at any level but most people prefer to try for Bronze and work upwards. There are age restrictions for each one so it makes sense to build yourself up rather than dive in at the deep end. Don’t forget, you have until your 25th birthday to complete whichever level you’re working on and achieve an Award – but remember, all activities must be completed before then. For each section, you need to show regular activity and commitment during this time averaging at least an hour a week. You can’t achieve an Award in a short burst of enthusiasm over one weekend! 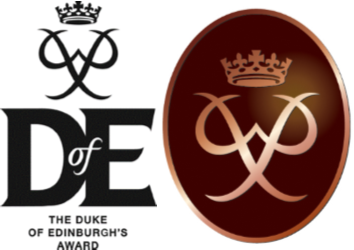 To find out what is required to achieve a Bronze, Silver and Gold DofE Award, click on the award icon to jump to the specific award page. 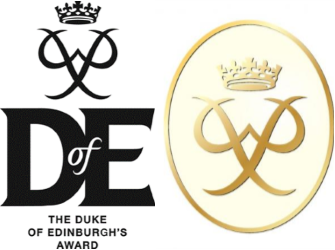 Below is a range of documents, DofE and inhouse, which together provide a comprehensive guide to the Duke of Edinburgh Awards programme. In this section you’ll also find all the letters which have been sent out during the course of the 2018-19 academic year. You’ll really put your heart into volunteering through your DofE. Many find this section the most rewarding and continue to volunteer long after achieving a DofE Award. Imagine horse riding in the Brecon Beacons, cycling in the Scottish Highlands or hiking in Canada. Whatever you decide to do, you’ll have an unforgettable experience getting to grips with the great outdoors. Use the Duke of Edinburgh Opportunity Finder at https://www.dofe.org/opportunity-finder to get some inspiration for which DofE section to go for. Alternatively, click on the link below and download the DofE Programme Ideas document. The Duke of Edinburgh scheme gives you the chance to do something completely new and improve on things you’re already doing. It takes you out of your comfort zone and into a place where you’ll push yourself and have amazing new experiences. You’ll build confidence, resilience, skills for work and friendship groups. And you’ll have a brilliant time doing it. Doing a DofE broadens horizons, skills and friendships. It’s a fun and rewarding journey where you’ll grow in confidence and become more independent. It opens doors to education and employment opportunities for any young person. Volunteer, get fit, learn, go on expeditions… it’s one amazing adventure after another that you’ll never forget. What are you waiting for? If you’re aged 14 to 24, give it a go. It doesn’t matter who you are or where you’re from, as long as you’re 14 to 24, you can choose the activities that motivate you and go on your own personal journey. We know that the DofE helps you stand out from the crowd when you apply for college, university or jobs. Once you enrol, your DofE Leader will set up an account for you in eDofE – our great online system you will use to record your progress through your DofE programme. You’ll then be sent an email with your sign-in details. Download the DofE Programme Ideas file, or dream up your own, and get your Leader to approve your choices. Enter the info and your goals on eDofE. When you’ve finished a section, you need an Assessor’s Report. The Assessor can do this online or by using an Assessor’s Report card (in your Welcome Pack) for you to photograph or scan and upload into eDofE. The DofE endeavours to keep your costs down so the current Welcome Pack, which includes the participation fee, is £20 for the Bronze Award, £20 for Silver and £27 for Gold. There may be additional costs for activities and Licensed Organisations that run the DofE, such as schools, may add a small fee to cover their costs, expedition/transport costs etc. If a school, club etc charges you more than this, it is because they include additional costs to them, such as administration costs. They MUST tell you of any additional costs and what they cover. Everyone receives a DofE Reward Card to get discounts on things such as kit and expeditions don’t need to be expensive. Activities for each DofE section take a minimum of one hour a week over a set period of time, so they can be fitted in around academic study, hobbies and social lives. Development and regular progress must be shown and all activities must be completed by the participant’s 25th birthday. Download the DofE Awards Timescales document below. Once you have completed your DofE you can continue to use your Reward Card until the card expires – which is now 1 July 2018 for all cards. All new DofE participants should receive a DofE Welcome Pack, which includes your Reward Card from your DofE Leader when you start your programme. Sign the back of the card and it’s active. If your Reward Card is missing or has expired whilst you are doing your DofE, please email asl@DofE.org with your name, address and DofE level to request a new one. All DofE Leaders, Volunteers, Co-ordinators, Assessors, Award Verifiers, Managers and non-AAP Expedition Supervisors/Support staff are eligible for a Reward Card as a thank you for supporting us. When you register on eDofE and complete your home address you will be automatically added to the next Reward Card mailing lists. Reward Card mailings take place on a monthly basis. See below for the shops where you can use your reward card and what they have to offer. Cotswold Outdoor started life in 1974 as Cotswold Camping, selling a range of basic camping accessories from a small outbuilding in the Cotswolds. More than 40 years on, they are one of the most recognised outdoor stores in the UK. They offer one of the most extensive and comprehensive ranges of outdoor clothing, high-tech products and camping equipment. Each product is carefully selected and tested to ensure a high level of quality and value for money. With over 250 internationally recognised brands under their roof, the selection of outdoor clothing and equipment is vast, suiting every need of consumer looking to explore the great outdoors. Many of the Cotswold Outdoor employees have previously done the DofE Award so they have first hand experience at what is best for you to buy when it comes to ticking items off your DofE Kit List. They can advise you on what’s best to keep you on your budget, helping you save money. They also offer free in store expert fittings advice, such as boot fitting, rucksack fitting and clothing layering system advice. 15% discount applies for participants and 20% discount for Leaders and adult volunteers. Discount on selected lines only. Exclusions include Soulpad tents, Go Pro. Exclusions are subject to change. Not to be used in conjunction with any other offer or discount. Only valid on production of your DofE Reward Card in store or use of discount code online. Offer expires 1st July 2018. For further information visit the DofE website at http://www.dofeshopping.org/reward-card/ of the Cotswold Outdoor website at https://www.cotswooutdoor.com/legals/terms-and-conditions.html. Snow+Rock is the UK specialist in ski wear, climbing clothing and equipment. They stock some of the biggest outdoor clothing brands including The North Face, Roxy and Oakley. The company covers all the seasons – ski wear for winter, hiking gear for spring months and beach wear for the summertime. So whether you are looking for some new skis to buy or you need new climbing ropes, with your DofE Reward card you can get a great discount. Snow+Rock are the UK’s no.1 outdoor and winter sports retailer. Offering a stylish range of the best performance clothing, footwear and equipment. With three decades of knowledge they are confident in saying that they are experts in the outdoor industry. The Snow+Rock staff are trained to high standards, delivering confident and trustworthy advice for all of your ski wear queries. They also offer ski boot fittings too, so make sure you head in-store to receive their personal customer service. For further information visit the DofE website at http://www.dofeshopping.org/reward-card/ of the Snow+Rock website at https://www.snowandrock.com/legals/terms-conditions.html. Runners Need is home to all of the big sporting brands you can think of including, Nike, New Balance, Adidas and Gore. It’s the perfect place to shop if you are in need of new sportswear for all running activities. With 17 specialist running stores across the UK & Ireland you will be sure to find every kind of sportswear you need. If you are new to running they do gait analysis which is a method that identifies the way you run and walk – which makes a big difference on which trainers are suited to your foot. If you know your gait and just want to update your worn trainers you’ll find plenty to choose from and don’t forget to make use of your discount. Their stores also have a running club, where after your first three run’s you get an exclusive goody bag and a Just Run t-shirt. You will have fully trained staff running alongside you, offering you tips and advice and making sure that no one gets left behind. Head online now and see what day your local store runs – the distance varies between 5K and 8K depending on the store. For further information visit the DofE website at http://www.dofeshopping.org/reward-card/ of the Runners Need website at https://www.runnersneed.com/legals/terms-and-conditions.html. Cycle Surgery is a British company with a chain of 30 bicycle stores across the UK, housing some of the world’s best cycle brands, road bikes, mountain bikes, folding and commuting bikes with a selection of high quality cycling wear and accessories. Use your DofE Reward Card to receive 10% off your purchase online or in-store. Starting life as a basement workshop, Cycle Surgery now has over 20 years of experience in the cycle industry and a number of stores nationwide. Stocking a wide range of bikes, componentry, accessories and clothing from the world’s leading brands enables Cycle Surgery to bring you the latest in cycling technology and innovation. Whether you’re a mountain bike or road cyclist, ride in the city or are planning your next cycling adventure, Cycle Surgery’s passionate staff are on hand to give friendly and knowledgeable advice about a sport they love as much as you do. Whatever and wherever you ride, they’ve got the right kit and expertise for you. For further information visit the DofE website at http://www.dofeshopping.org/reward-card/ of the Cycle Surgery website at https://www.cyclesurgery.com/legals/terms-and-conditions.html.